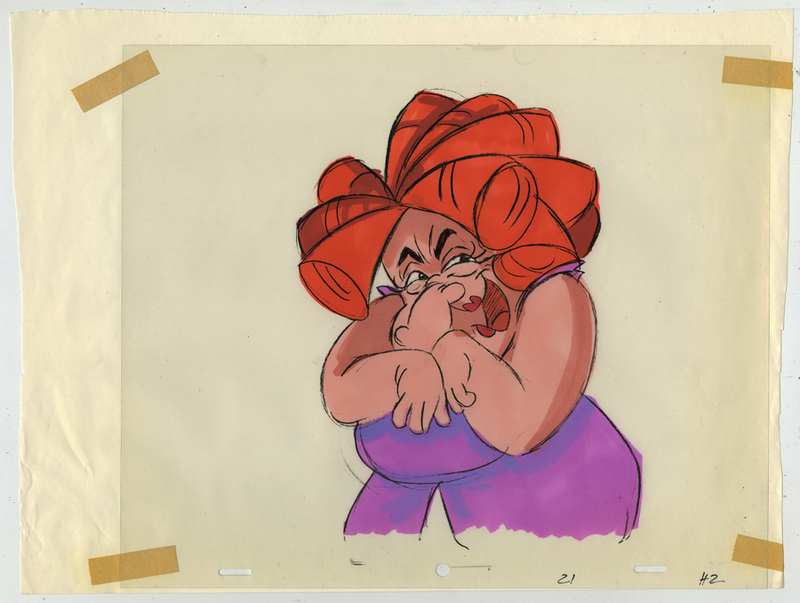 This is an original model cel from the Hanna Barbera Studios production of a Smurfs project, I believe possibly a Smurf Berry Crunch commercial. 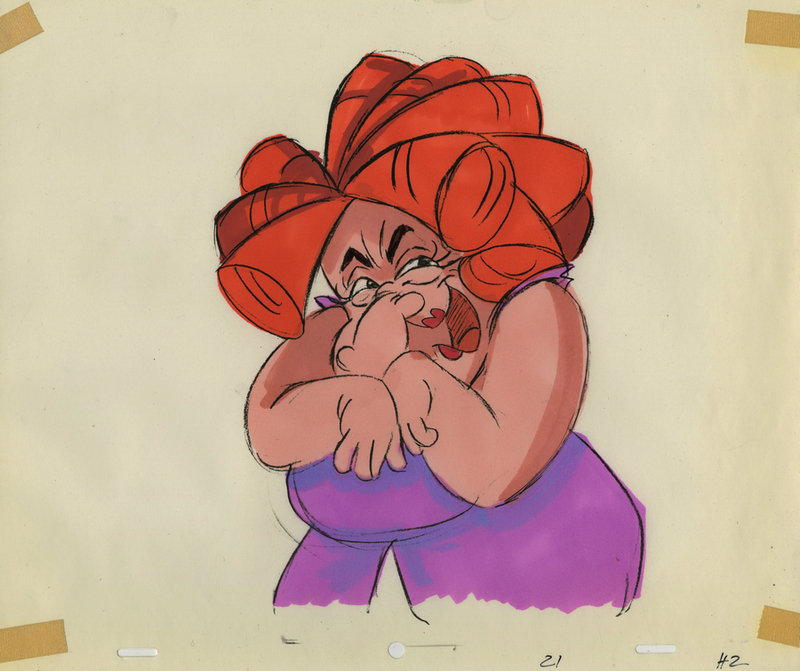 This cel features the evil witch, Hogatha, and was created at the studio and used during development. 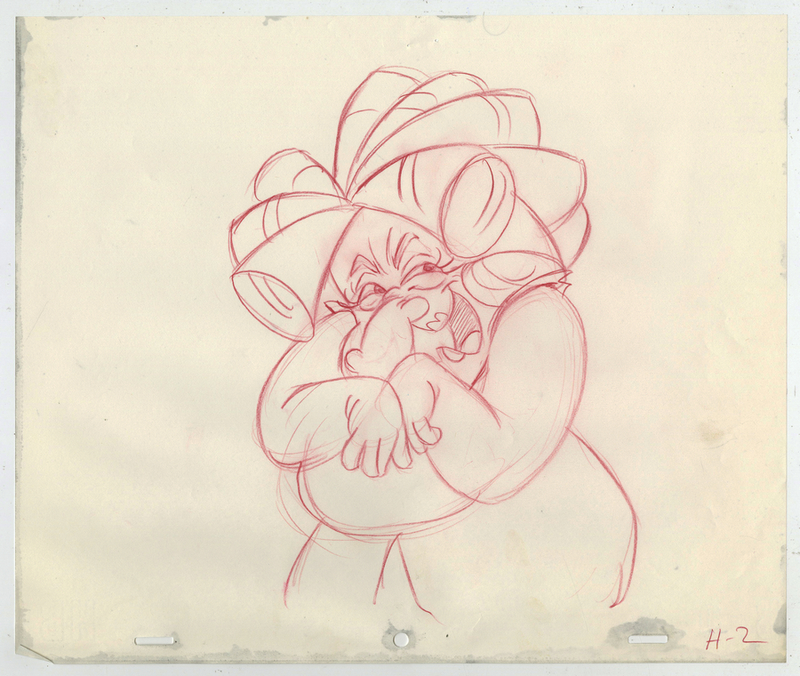 The overall measurements of the piece are 10.5" x 12.5" and the image itself measures 8.5" x 6.5". The piece is created with a cel that has the line work xeroxed, and the colors are all created on an underlying layer of paper, not directly onto the cel. The matching production drawing is also included.